The project entails the restoration of 2 historic buildings and a new faculty building for Antwerp Management School. It is part of an urban ecosystem of start-ups, scale-ups and supporting facilities. StartUpVillage – a project we recently delivered across the street – also belongs to this ecosystem. 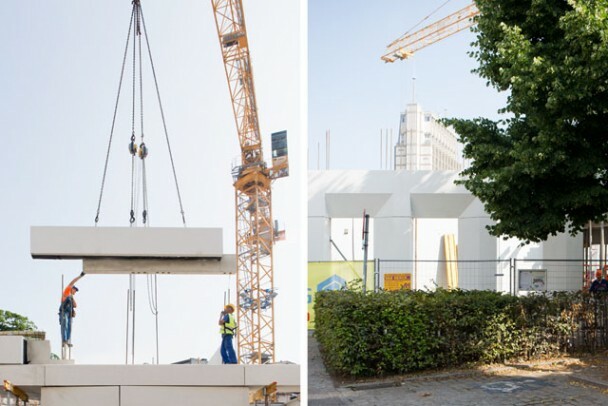 At present, the contractor is mounting the prefabricated concrete façade-elements of the new building. They consist of an integrated system of structure, insulation and finish.